With rent prices in cities like San Francisco, Portland, and New York soaring to astronomical heights as of late, hearing about the new rent-bidding service Rentberry is sure to put prospective renters in a tail-spin. After all, what good would it do to give landlords even more freedom over squeezing every dime, nickel, or penny out of their tenants? 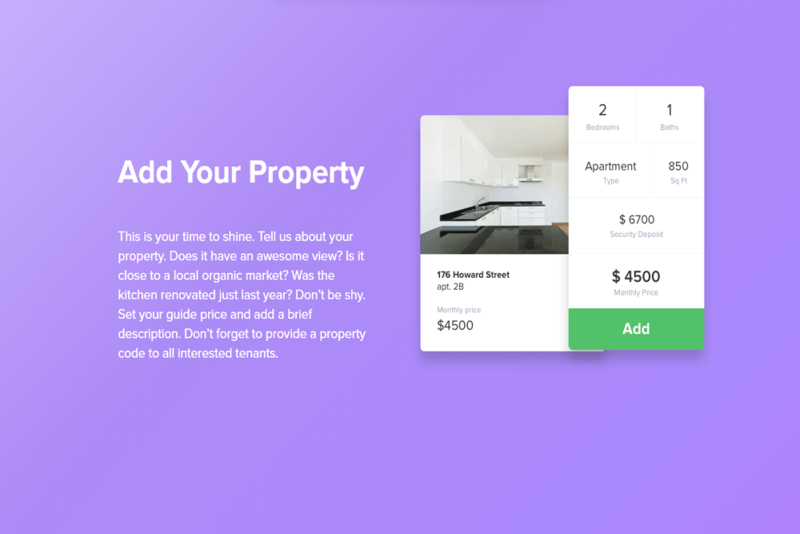 Geared toward allowing people the opportunity to enter into bidding wars for a desired living space, Rentberry seems like salt on a wound; with rent as painful as it already is, there seems to be no need to entice it to sting more. So instead of going about renting an apartment the old-fashioned way — you know by submitting an application for the price that’s listed — interested tenants now have the ability to place bids on any residences they’re keen on, be it over or under the posted list price. If you’re reaching for your pitchfork, we were right there with you. Until Rentberry CEO Alex Lubinsky gave us a ring. He’s certainly got a point. Application fees are a pain in the neck — especially if a renter doesn’t actually move into a place they’ve already spent money on — and not hearing back from a landlord causes undue stress during an already strenuous time. But does “creating transparency” outweigh the prospect that a service like Rentberry might actually exacerbate the problem of growing rent prices instead of helping it? Before you roll your eyes, Lubinsky and Rentberry really do seem to have created a model that truly looks out for the tenant. For starters, the service charges nothing for people to submit applications (meaning it costs prospective renters $0 to have their credit score or background check pulled) and only takes a modest $25 fee once a tenant is selected. Additionally, the service allows prospects to negotiate such terms with landlords as a lower deposit in exchange for a slightly higher monthly rent. Lubinsky says arrangements such as this already exist, it’s just not nearly as transparent as Rentberry allows. Despite Lubinsky’s insistence that his company has the ability to save tenants money, critics will be quick to say a service like Rentberry could accelerate the rise in housing prices. 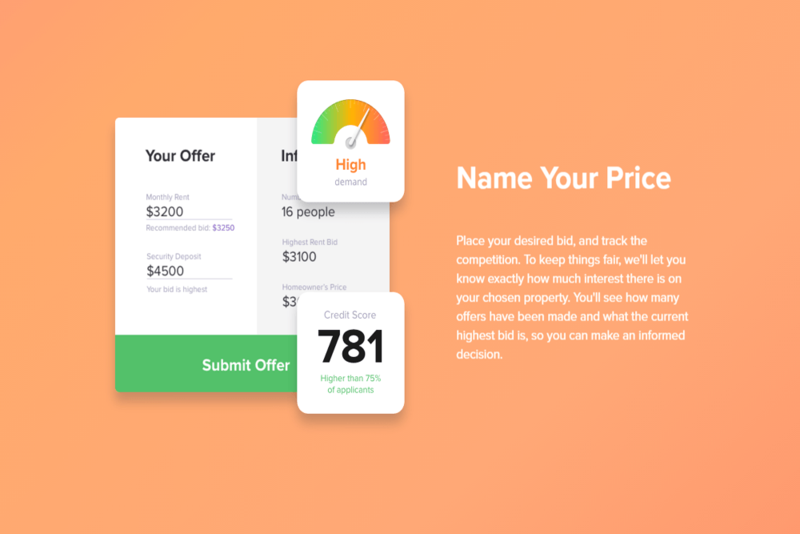 Streamlining a negotiation process could certainly lend itself to the idea that more people would blindly bid 20 percent more for an apartment via a website as opposed to actually picking up a phone to call a landlord directly. Conversely, what’s to stop a landlord from just indiscriminately selecting the highest bidders? While the above examples are purely speculative, it remains to be seen just how exactly landlords and tenants will react to a venture like Rentberry. Perhaps it does give prospective renters the transparency they crave when renting and maybe it will give property owners flexibility when choosing a tenant. To address its main criticism, Lubinsky remained firm in asserting that if prices are destined to rise in the housing market, they will with or without a service like Rentberry. When asked if he believed Rentberry to be the future of renting an apartment, he unequivocally said, “I do.” With plans of adding the ability to pay rent via the site, as well as the option of searching for all available apartments (a la Airbnb), Lubinsky is dead set on not just making Rentberry a standard but something its critics won’t view as a negative.